When former Louisiana State University offensive center John Ed Bradley published “The Best Years of His Life,” a “little nothing story” looking back on the years since his college football career, he was completely unprepared for the response. Letters—the most the editors had received for any article that year—poured into the Sports Illustrated offices, publishers contacted him about expanding the piece into a book, and filmmakers expressed interest into turning it into a movie. 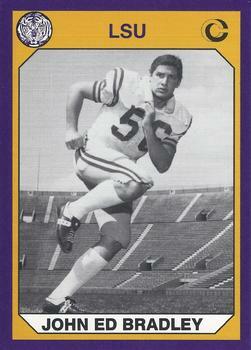 A bit overwhelmed and even “shocked” (as he later told the magazine), he refused offers for several years, when he finally decided he was ready to develop his article into the book-length memoir It Never Rains in Tiger Stadium. At the time I wrote [the article], I thought it might have been a little confessional and I would get spanked for exposing myself the way I did and the response was something else. I heard from a lot of players from around the country that said, Hey, that’s my story. . . . When I do book signings, a lot of people will come and they’ll buy the book or they’ll buy 10 copies but they have that old magazine article. You’ll see an old farmer, with a tobacco hat on his head and an old blue jean shirt and he’ll have a Xerox copy of the article and I’ll wonder why does that matter to him. And I’ll ask him and he’ll say, I was second-team all district in football and I had to give it up and I’ve never gotten over it. Yet even today, although he has since reconnected with several of his former teammates, Bradley admits that he still has a difficult time going back to his alma mater. Actually, I stole that helmet. That’s property of the university. We weren’t supposed to take them but I took it anyway. I had cracked it against Florida State. I hit a guy and I think I laid some dude out and cracked that helmet. I took the interior padding and put it into the shell of another helmet and played the rest of that season in that new helmet. The other one had been my good luck helmet and all of a sudden it was cracked. Bradley’s seventh novel, Call Me by My Name, appeared earlier this year; it is his first book for a young adult audience. 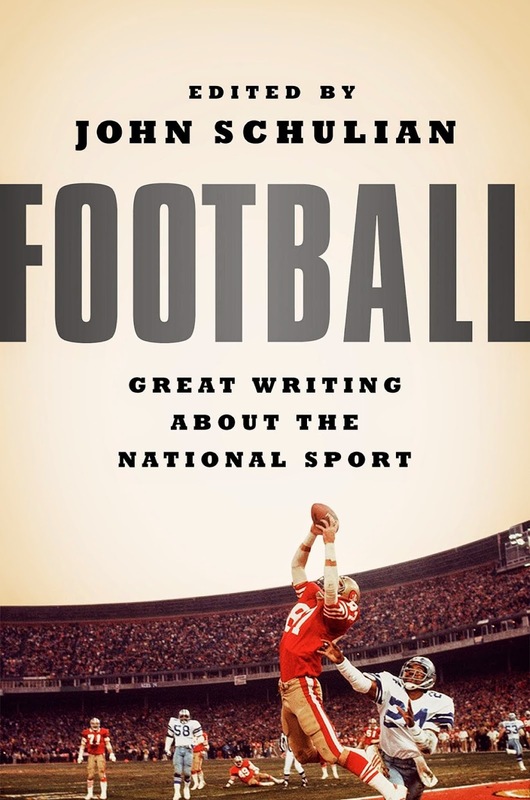 Additional information about Bradley’s path from football player to sportswriter to novelist can be found in the brief headnote by John Schulian that precedes this week’s selection. It ends for everybody. It ends for the pro who makes $5 million a year and has his face on magazine covers and his name in the record books. It ends for the kid on the high school team who never comes off the bench except to congratulate his teammates as they file past him on their way to the Gatorade bucket. . . . If you don't see the full selection below, click here (PDF) or click here (Google Docs) to read it—free!